Volunteer Centres play an important part in communities to strengthen volunteering and citizen engagement. BC boasts over 35 volunteer centres, each providing unique mix of programs to fit the needs of your community. Looking to volunteer? Need volunteers? Volunteer centres can help. Find your centre on our interactive map. Not sure which Volunteer centre serves your area? Check the listing. I want to volunteer. Where do I start? Start with your local volunteer centre. They offer a lot of resources for anyone interesting in volunteering, including up to date listings of volunteer opportunities. Find your volunteer centre using the interactive map below or view the complete listing. What is a Volunteer Centre? What do they do? See our Volunteer Centre Fact Sheet for a list of all the great things they do in communities. No Volunteer Centre in your community? BC211 can help if you do not have a local volunteer centre. Schools, colleges and universities often have volunteer posting boards. GoVolunteer, Charity Village or Craigslist offer searchable online volunteer postings. Contact organizations you like directly to see if they have positions available. Or find out how to set up a volunteer centre under the Volunteer BC Resource Section. Your volunteer centre may offer workshops on volunteer engagement, post your volunteer positions or help you network with other volunteer-involving organizations. I want to set-up a volunteer centre. Where do I start? Contact Volunteer BC and we can offer guidance/resources. Go to our Volunteer BC Resources Page to find our handbook designed to take you through a step by step process in establishing a volunteer centre. Funding is sometimes offered on a project by project basis. When Volunteer BC receives funding to deliver workshops or pilot projects, volunteer centres are our partners of choice. Become a member to find out about these opportunities first. We also offer travel subsidies to volunteer centre staff who need financial support to attend our Volunteer Futures conference, as funds allow. 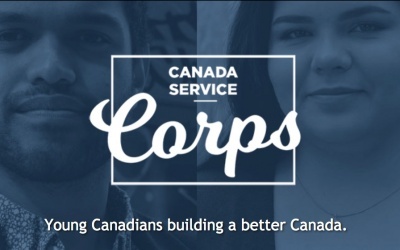 Canada Service Corps encourages young Canadians to get involved in service in their communities and gain valuable skills and experience. Looking for meaningful volunteer and service opportunities? Find a volunteer opportunity in your area. Parksville, Qualicum Beach, Nanoose, Bowser, Errington, Coombs, Whiskey Creek and Qualicum Bay.